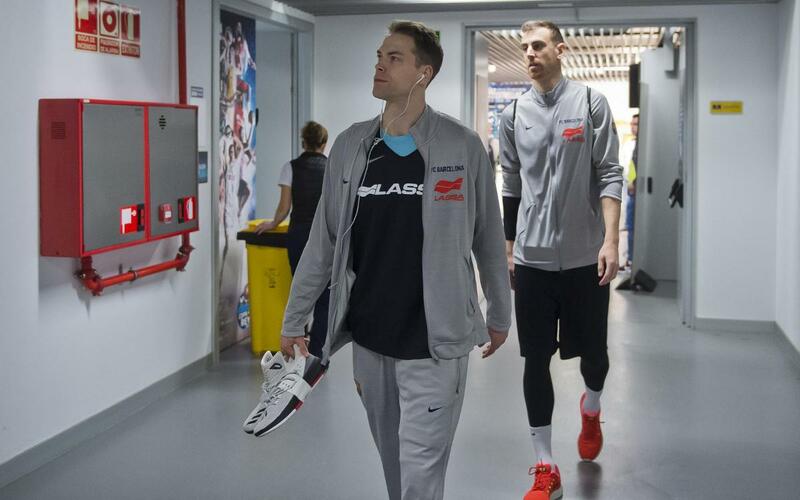 Petteri Koponen is enjoying a great moment with Barça Lassa, having been named MVP of day 26 in the Endesa League thanks to the 23 points scored against Heralife Gran Canaria. Since the arrival of Pešić as coach, Koponen has a 61% success race with three point shots, and scores 12.7 points per game. However, the Finn has also shown off his admirable football skills. In the video he demonstrates his ability, and keeps the ball off of the ground by touching it on 263 consecutive occasions. Under the watchful eye of his teammate Kevin Séraphin, the Blaugrana proved that, apart from being great at basketball, he also has a very precise touch with a football. His countryman, Jari Litmanen, would be proud. Will any of his peers be able to match or beat his record?